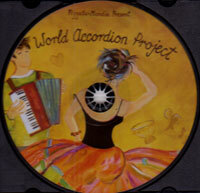 The World Accordion Project is an album of exciting compositions by Sammy Pizzata and Nunzio Mondia featuring music of different styles from around the world. 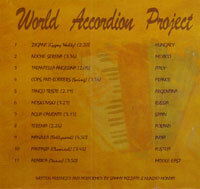 Alongside each title is the country or area of the world, that forms the style of that track. You are invited to listen to the sample sounds above. Originally from Italy, Sammy immigrated to Australia at age 13. 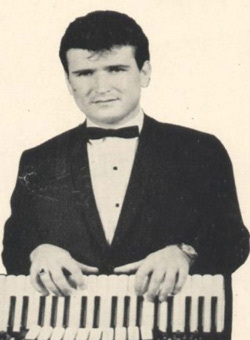 Initially began clarinet lessons at the tender age of 9 he continued his early music development on accordion with the master accordionist Peter Piccini and piano studies with Wallace Tate. With a career spanning more than 40 years, he began performing professionally at various nightclubs in Perth, Western Australia. In 1972, Sammy completed an extensive arranging course through the prestigious Berklee College Of Music, Boston USA. 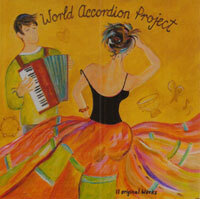 Born in Perth Western Australia, began accordion and piano lessons at age 5 and 9 respectively. 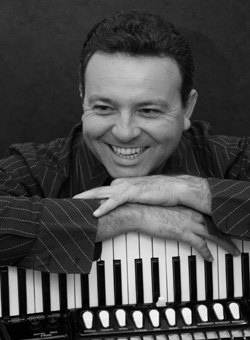 His professional career began age 16, as pianist, arranger, musical director for many Australian and international artists. B Ed, Post Grad Dip Ed and M Ed. Sample highlights include works with Rolf Harris (Aus), Hugh Jackman (Aus), Thelma Houston (USA), Shirley Bassey (UK), Michael Crawford (UK), Eric Idol (UK), Norman Wisdom (UK), Demis Roussos (Greece), Nanna Mouskouri (Greece), Ricardo Fogli (Italy), WA Symphony Orchestra, St Petersberg and Kiev Ballet Companies (Russia). 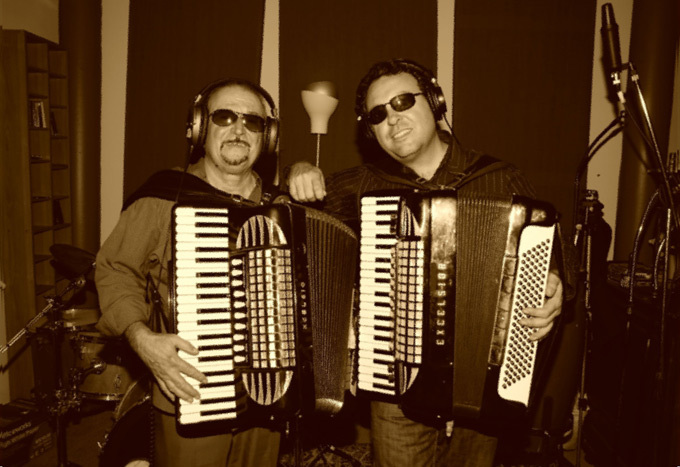 Nunzio (Jazz accordion) is now collaborating with legendary Guitarist Hank B Marvin (Gypsy Guitar) on an exciting new Gypsy Jazz Project.